Are Organic Food Benefits Worth the Added Cost? Are organic food benefits worth the cost? I hear the same question popping up at every grocery store, produce stand or farmers market. It’s not a dumb question and I have asked myself the same thing on many occasions. Are we wasting our money on these products or do they really provide extra health benefits? The first step is to understand what it means for something to be organic. Organic produce are grown without the presence of manmade pesticides, chemicals, herbicides, artificial additives or fertilizers and for this reason are considered healthier. Many people feel that these chemicals are carcinogenic and would increase a person chance to develop cancer. So is this type of food any better? 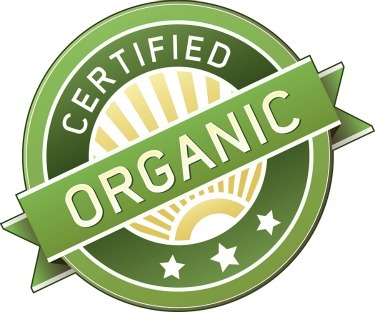 In my own mind I would think that organic foods have to be healthier but unfortunately it has not been proven scientifically yet that these foods are any healthier. There seems to be countless studies and papers written on the matter but no real proof that it is healthier than conventionally grown foods. Conventionally grown foods have been around for years using certain chemicals and spray insecticides and herbicides to make sure crops are not damaged by insects or disease. Organic Food Benefits - Why is This Produce so Expensive? You would think that organic should be cheaper since they are spared the extra costs of all those chemicals. It’s surprising but less chemicals means more labor which will increase the price. Without chemicals things such as weeds and bugs now need to be controlled with extra labor and not with chemicals. The labor costs far exceed the costs of the chemicals. The demand for chemically free produce is rising at an alarming rate, rising much faster than the amount of conventional producing farms (this fact alone makes me believe that theses foods are healthier than conventional), but start up costs are high for these new farms. Also a simple fact is that natural fertilizers cost more than manmade ones. Organic produce grows slower because they do not use the growth hormones and chemicals that conventional farmers use to speed things up. There are certain rules to be a certified organic farm which adds to the costs. Extra costs to modify the farm facilities, hiring extra staff to maintain proper records for inspections and the cost of the inspection along with obtaining a certification fee all adds a considerable cost to the farm owners and operators. Without all these chemicals many believe that organic food benefits by being healthier but the truth of the matter is that no one knows for sure at this point in time. What do you believe? We would love for you to share your thoughts on the matter. 1) I believe in organic products and buy them regularly. 2) I believe in organic products but don’t buy them as they are too pricey for my budget. 3) I believe in organic products but doubt the company’s word that it is truly organic therefore usually do not buy them. 4) I believe in organic products but only buy them if they are on sale. 5) I don't believe in organic products but will buy them if they are on sale. 6) I don't believe that organic products are any better and the added cost is just a waste of money. 7) I don’t care either way.